Eliot, George. Middlemarch. Ware. Wordsworth Classics. 1994. 781 pps. Octavo. Soft cover. First edition thus. Fine copy. Eliot, George. Silas Marner. London. Penguin. 1994. Octavo. Soft cover. Reprint. Fine (owner name on end paper) copy. Eliot, George. The Mill on the Floss. Franklin Center. Franklin Library. 1981. 534 pps. Octavo. Leatherette bound. Gilt edges. First edition thus. Illustrated by Herbert Tauss. Fine copy (book plate). Eliot, George. The Mill on the Floss. Oxford. Oxford University Press. 1981. Octavo. Soft cover. Reprint. Fine copy. Eliot, T.S. Old Possum's Book of Practical Cats. London. Faber and Faber. 1964. 56 pps. Octavo. Soft cover. Reprint. Illustrated by Nicholas Bentley. Fine copy. Eliot, T.S. Old Possum's Book of Practical Cats. New York. Harcourt, Brace & Jovanovich. 1982. 56 pps. Octavo. Soft cover. Reprint. Illustrated by Edward Gorey. Fine copy. Eliot, T.S. Selected Poems. New York. Harcourt, Brace. 1967. Octavo. Soft cover. Fine copy. Eliot, T.S. The Cocktail Party. New York. Harvest. 1950. 190 pps. Octavo. Soft cover. Reprint. Fine copy. Ellis, Ian C. Book Finds. 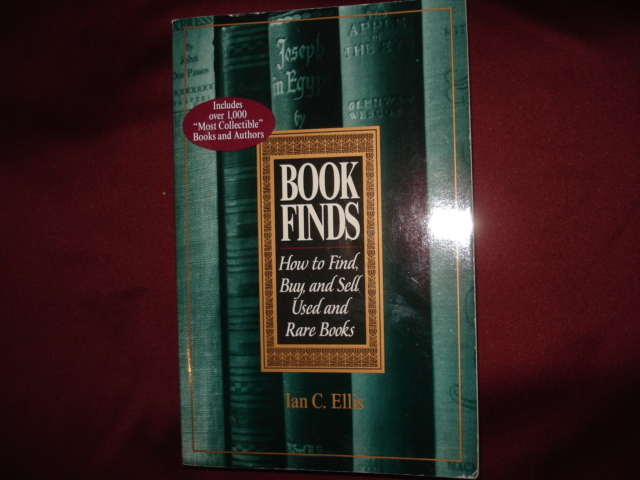 How to Find, Buy, and Sell Used and Rare Books. Photo available. New York. Perigee. 1996. Octavo. Soft cover. First edition. Near fine copy (some marginal notes). Ellison, Harlan and Isaac Asimov. I, Robot. The Illustrated Screenplay. New York. ibooks. 1987. Octavo. Soft cover. First edition thus. Illustrated in color and black & white. Fine copy. Engel, Fred. Remuda Dust (cowboy poetry). Park City. Benchmark. 1993. Octavo. Soft cover. First edition. Illustrated. Fine copy. Enss, Chris. 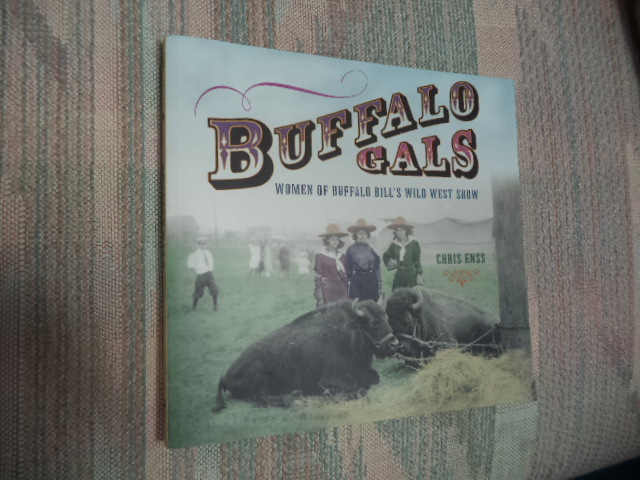 Buffalo Gals. Women of Buffalo Bill's Wild West Show. Photo available. Guilford. Twodot. 2006. Octavo. Soft cover. First edition. Illustrated in black, white and color. Fine copy. Enss, Chris. High Country Women. Pioneers of Yosemite National Park. Photo available. Helena. Riverbend. 2013. Octavo. Soft cover. First edition. Illustrated in black, white and color. Fine copy. Epstine, Perle. The Private Labyrinth of Malcolm Lowry. Under the Volcano and the Cabbala. New York. Holt, Rinehart and Winston. 1969. Octavo. Hardcover. First edition. Fine copy in near fine dust jacket (in mylar). Erdrich, Louise. The Last Report on the Miracles at Little No Horse. New York. Perennial. 2002. Octavo. Soft cover. Very good copy. Light shelf wear. Esquivel, Laura. Like Water for Chocolate. A Novel in Monthly Installments, with Recipes, Romances, and Home Remedies. New York. Doubleday. 1992. Octavo. Hard cover. Reprint. Fine copy in fine dust jacket (in mylar). Euripides V. Electra, The Phoenician Women, The Bacchae. Chicago. University of Chicago Press. 1959. 228 pps. Octavo. Soft cover. Reprint. Fine copy. Evanovich, Janet. Manhunt. New York. Harper. 2005. Octavo. Soft cover. Fine copy. Evans, Nicholas. The Horse Whisperer. New York. Delacorte Press. 1995. 404 pps. Octavo. Hardcover. First edition. Author's first book. Fine copy in fine dust jacket (in mylar). Everson, William. 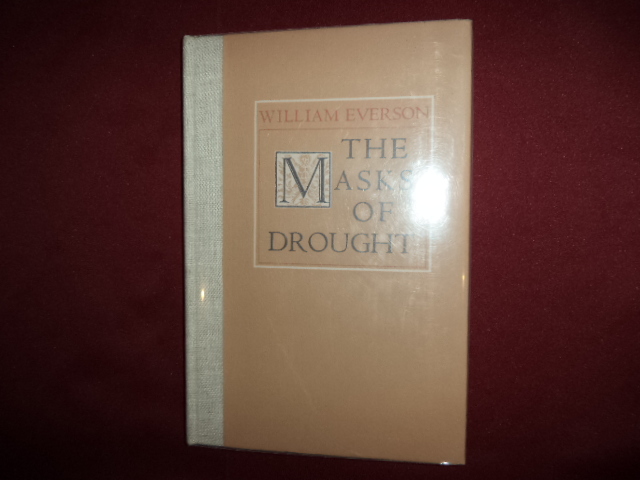 The Masks of Drought. Photo available. Santa Barbara. Black Sparrow Press. 1980. Octavo. Hardcover. First edition. Fine copy in glassine wrapper.